rocky hillsides and coastal cliff-tops. perennial herb, growing up to 75cm. 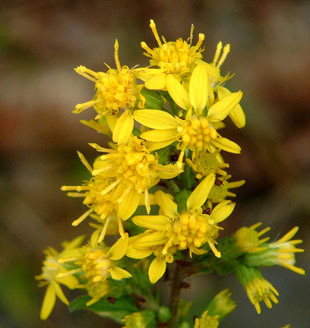 Flowerheads are up to 1cm and on spikes. 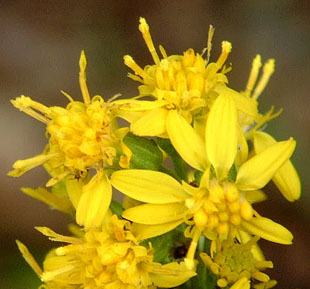 There are up to 12 ray florets, which are yellow and spreading. 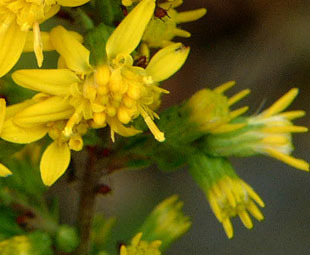 Bracts are yellow green, linear and pointed. 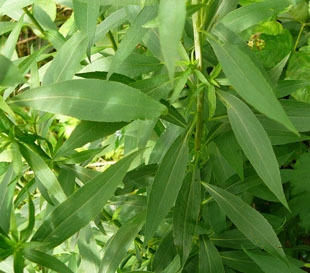 Leaves are green, ovate to lanceolate and variously toothed. 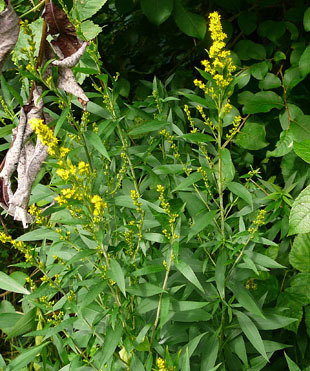 Compare with Canadian Goldenrod, also July.